The thing that has irritated people most about the Police & Crime Commissioner election is the lack of information. 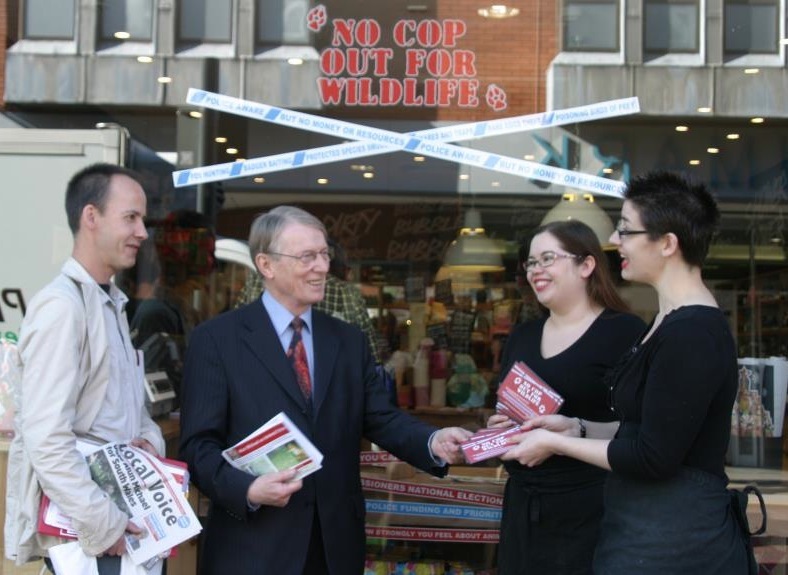 I was invited to visit the two Lush Cosmetics shops in the South Wales area to hear about their campaign ‘No Cop Out for Wildlife’. Lush has been doing great work in raising awareness about the Police Commissioner elections and asking customers who care about wildlife crime to tell their candidates that they want them to pay attention to animal welfare and enforcing the law on wildlife and environmental crime. I’m proud to say that I’ve championed animal welfare issues in Parliament for many years, including guiding the Hunting Act through Parliament, campaigning against the badger cull and helping to pass the most radical piece of animal welfare legislation since 1911 with the Animal Welfare Bill. I appreciate Jonathan’s kind comment and I’m glad that he found my answer convincing. I don’t pretend to be a “techie” but I have spent a lot of time over many years working on the “people” aspects of internet crime and on internet governance issues in Parliament and internationally. I’ve been a contributor to the UN’s Internet Governance Forum on behalf of the UK Parliament and as chair of the UK Internet Governance Forum. And earlier this year I moderated a seminar on “The Rule of Law Online” in Geneva for the Internet Society. Internet issues aren’t remote problems – they now affect all of us, even people who never go online themselves, so it is important. If elected, I’ll be continuing to use my knowledge and implement it as Police and Crime Commissioner for South Wales.